VANDENBERGs MOONKINGS - MOONKINGS LTD. EDIT. (DIGI) | Online Shop | Wizard LTD. Album: "MOONKINGS LTD. EDIT. 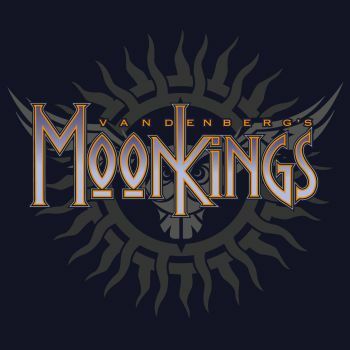 (DIGI)"
Adrian Vandenberg is back with a brand new band, Vandenberg&apos;s MoonKings. Excitement is rife about Vandenberg&apos;s MoonKings album. It’s Adrian Vandenberg’s first new album in 16 years. Word is spreading fast about the album’s sensational mix of blistering rock songs and powerful ballads. Adrian Vandenberg is very happy with his return to the international music scene. "The last record I made was with Whitesnake in 1998. Now that I&apos;ve announced my return, I am really overwhelmed by the thousands of enthusiastic reactions that I&apos;ve gotten from all over the world. It amazes me how faithful the fans have remained. It&apos;s just bizarre," he says. In producing the MoonKings album, Adrian Vandenberg&apos;s main motivation was to make the music he really loves, without taking record company demands and commercial considerations into account. "I&apos;ve let my intuition guide me," he says. "You have to ignore what others think will sell or whatever. You have to make music from the heart, rock & roll that you yourself think is absolutely great. Then and only then there&apos;ll always be other people who might love it as well.